Romeow Cat Bistrot combines the concepts of cats, upscale food, and elegant design all in one. It is a restaurant in the neighborhood of Piramide in Rome which serves vegan breakfast, snacks, lunch, and dessert. I began by ordering grilled pineapple steaks, topped with tahini, snap peas, cashews, and edible flowers. It sounds like a strange combination, but the pineapple was sweet, while the tahini added a complementary tang to it. After the first meal, I walked around to pet the cats. All the cats must have been on nap time, as they were all sleeping near the windows. They seem to have been trained to avoid the kitchen and tables. No need to worry about fur in your food! To end the meal, I ordered this mixed berry vegan cheesecake, which looks just as decadent as it tasted. Make sure to book a table ahead of time, as the place fills up during meal hours. Romeow Cat Bistrot is open Wednesday through Sunday, 11 AM to 11 PM. To make a reservation, call +39 06 5728 9203. The address is Via Francesco Negri, 15, 00154, Roma. 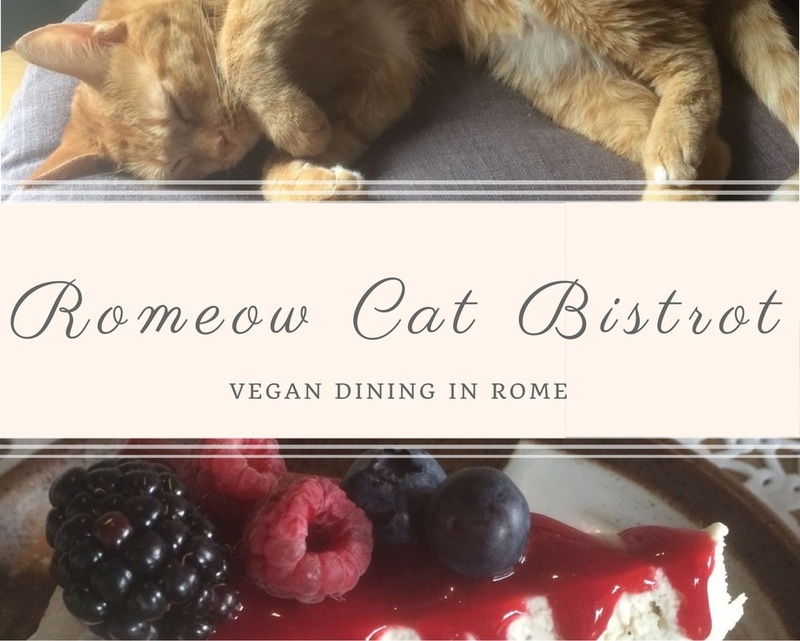 If you're looking for a vegetarian/vegan friendly restaurant in Rome, the Romeow Cat Bistrot has your answer. I would have come here just to see the cats, but the food was also quite delicious - and I am not vegan. I'm pretty sure this would quickly become one of my most favorite places to go! I'm not vegan, but I'm sure I could find something to love there - and not just the cats!